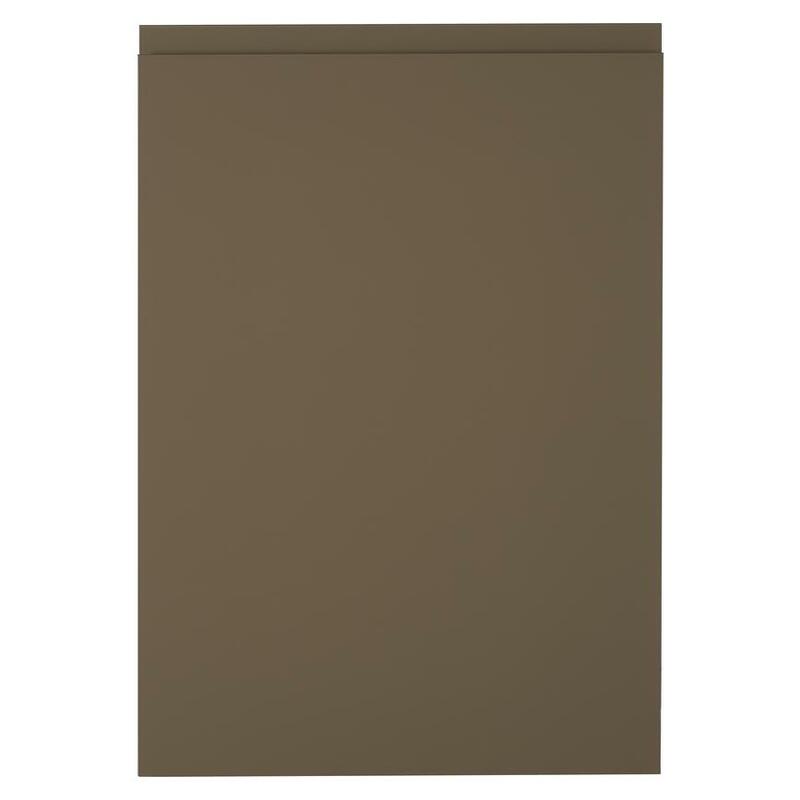 Make the rich colour of this 19mm-thick, clay cabinet door the main talking point of a new kitchen. 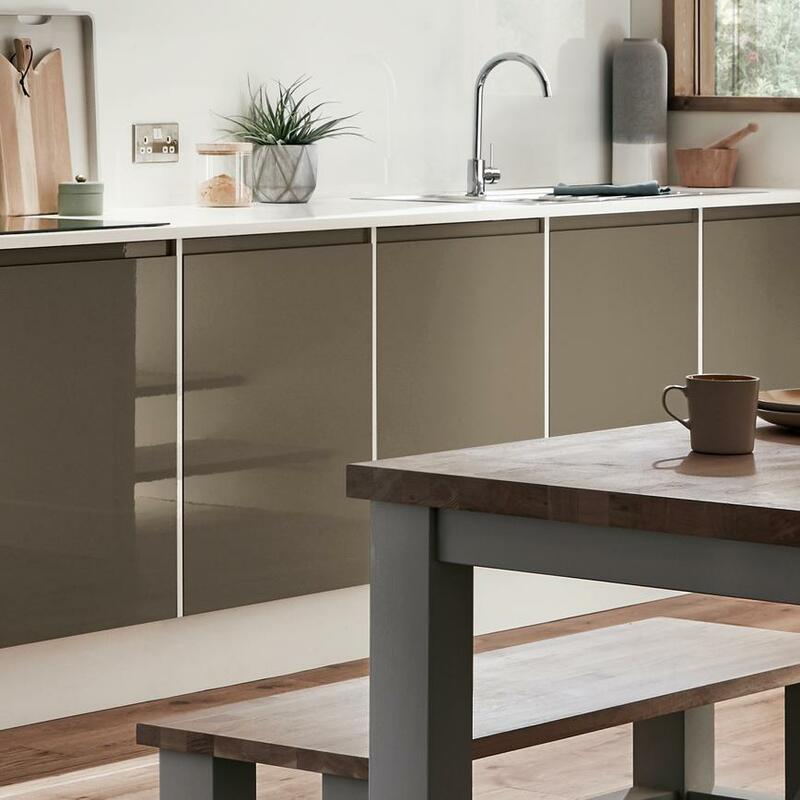 This door has a distinctly modern feel, with streamlined integrated handles and a gloss finish. 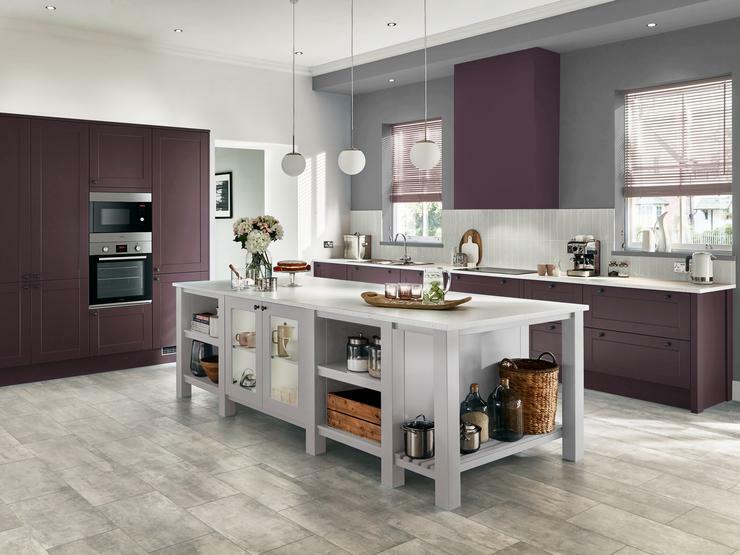 Gain added storage with extra tall wall units, which make an impact in this bold colour. 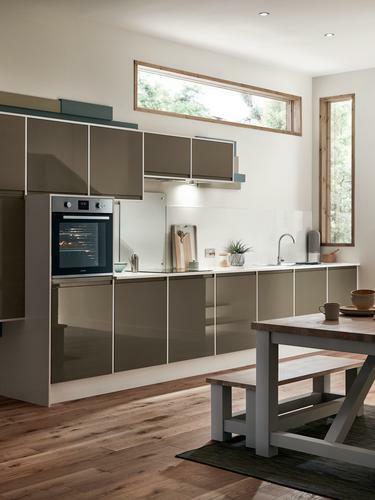 Mix and match different cabinet sizes to create a modular look. 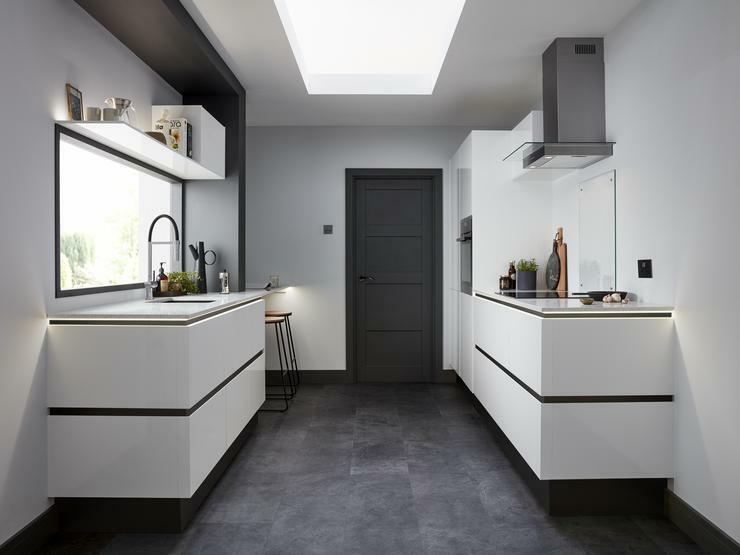 Help the rich clay shade stand out with a contrasting white mirror chip quartz worktop and a gloss white backboard. 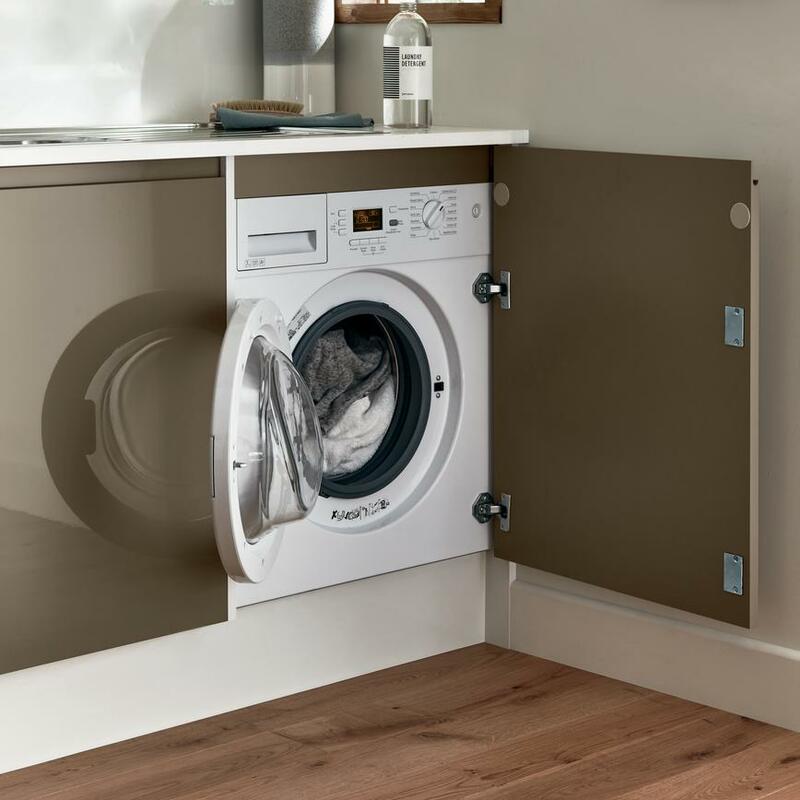 Then soften this with the wood grain of solid oak flooring. 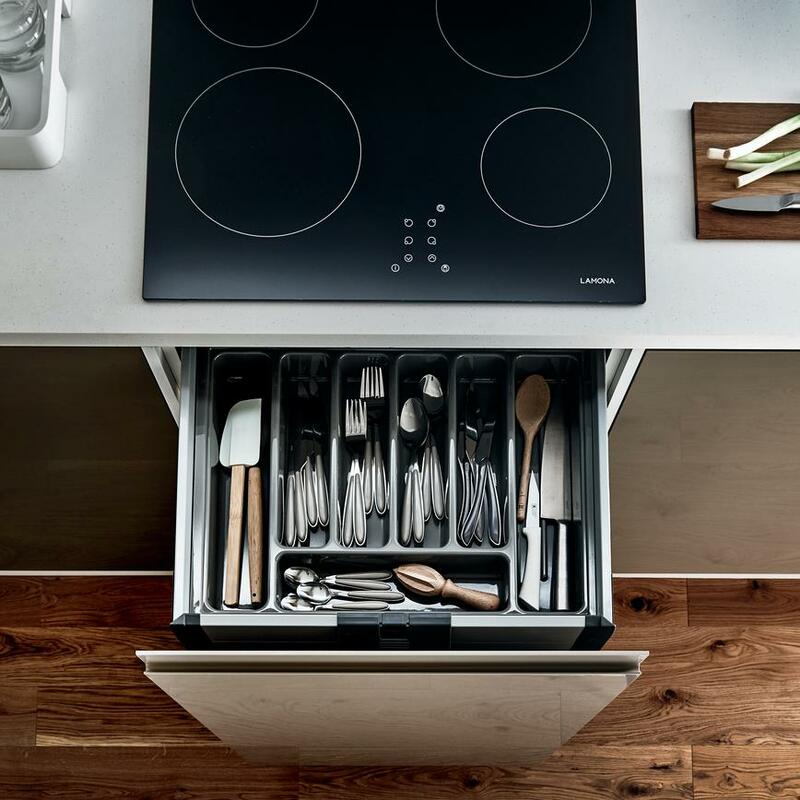 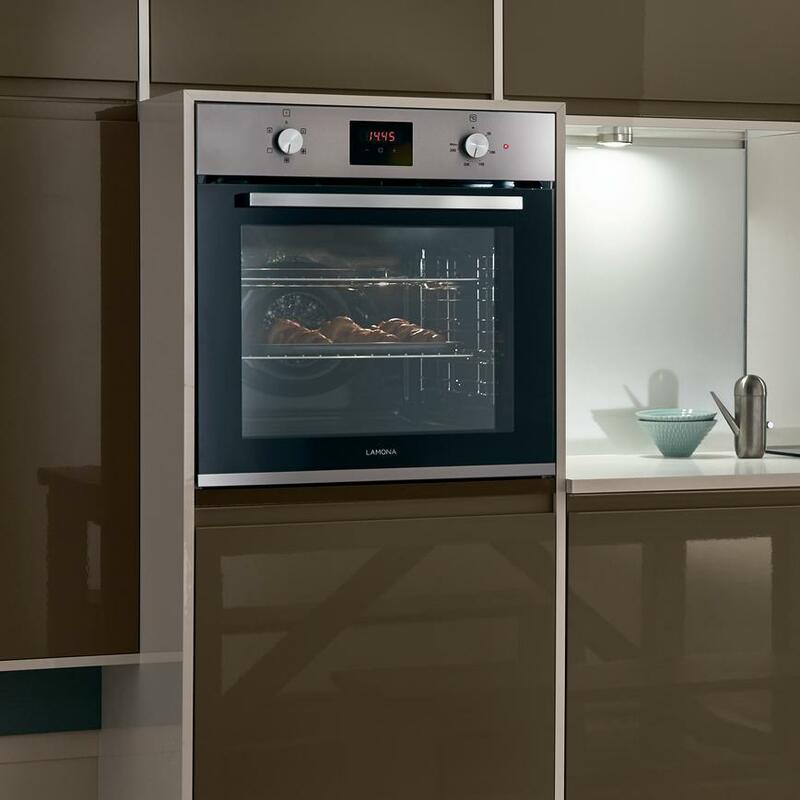 Place a built-in oven at eye-level in an appliance tower to make it easy to access. 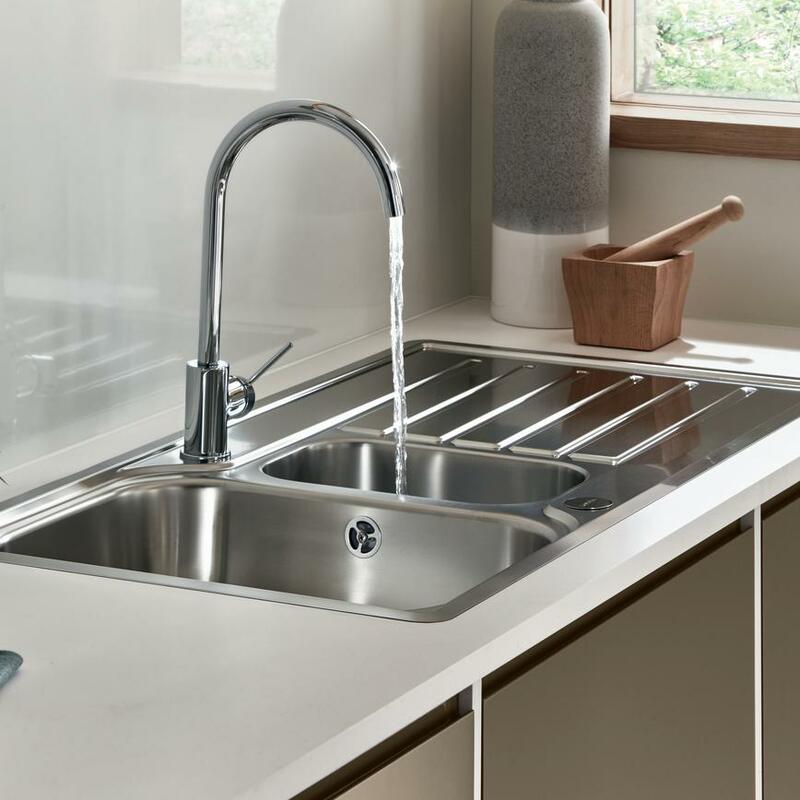 A sleek chrome single-lever tap will continue the minimalist design. 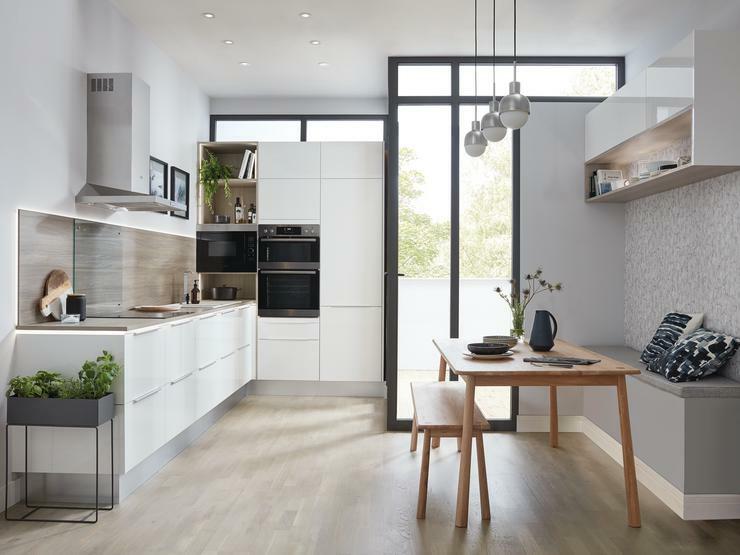 A table and bench will turn the kitchen into a space the whole family can enjoy, whether dining, studying or catching up with friends.